A major broker gripe about a big bank mortgage policy has finally been addressed by Finance Minister Joe Oliver and more transparency about the practice is forthcoming. Canada’s eight largest banks have promised to provide more information about collateral mortgages; including online educational resources and better training for bank employees to help them better explain the difference between collateral charge mortgages and their conventional counterparts. “Our government is standing up for consumers and saving Canadians money,” Joe Oliver said of the voluntary policy. While many consumers continue to choose a traditional mortgage to secure their home loans, many are increasingly choosing collateral charge mortgages. 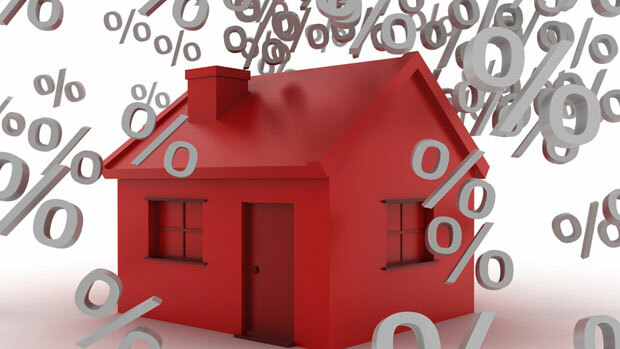 The impacts of having a collateral charge mortgage may differ from traditional mortgages. For instance, switching between lenders may be more difficult. To make an informed choice, consumers need sufficient information to clearly understand the costs and consequences of collateral charge mortgages relative to traditional mortgages. The government will require enhanced disclosure, better equipping borrowers to understand these impacts. However, many brokers have complained about client ignorance surrounding these particular mortgages. “(Clients) are effectively entering into an ‘all indebtedness’ mortgage, which brings any other debts to that specific lender under the umbrella of the registered security against the real estate,” Dustan Woodhouse, a B.C.-based broker with Dominion Lending Centres wrote in the March issue of CMP Magazine. “In other words co-signing a credit card or car loan for somebody that stops making payments with the same lender holding the mortgage can ultimately result in a foreclosure notice against the original client’s property. hmmm...banks not providing customers with complete or accurate info. Where have I heard that before? Oh yah...almost every customer in front of me. Its frustrating that companies with such influence both on customer behavior and national financial policies are allowed to get away with such "inadvertant" slip ups without penalty. In this economy you never know when you may be downsized, laid off or some other unforeseen life event may happen. You need to have all your options available. The clients I have talked to had no idea that when they signed their collateral mortgage agreement they gave up 100 to 125% of the value of their home. If they had needed to obtain a second mortgage to get them through a financial set back they would not have the equity or freedom to obtain a second mortgage. THIS DISCLOSURE SHOULD BE MANDATORY WITH ALL BANKS AND CREDIT UNIONS AND REPEATED AT THE LAWYERS OFFICE. recently a client tried to transfer on renewal a cmhc 95% mortgage that was registered as a collateral mortgage which no where did the approval forms indicate that is what was being registered and the credit union refused to send an assignment of the existing charge document and would only send a payout figure for the discharge of the mortgage which made it impossibe for the client to switch lenders as a refinance was not a possibility at above 80% ltv,the clients were so angry they contacted the regulatory body and filed a complaint and as a result the credit union issued a demand notice for repayment even though the client was not in default,the client then filed another complaint and long story short the credit union finally issued the assignment of transfer form and the client was able to leave so obviously the credit union had the ability to comply and just did not want to. I can't fathom to wonder what would happen to a licensed broker had they held the client hostage in this fashion. As far as i am aware the lenders only acknowledge the fact that the collateral mortgage is re-advanceable to the clients and in a lot of cases neglect to inform them they actually have to re-apply and qualify for extra funds should they need them and it is not just call the institution and ask them to drop a sum of money in their accounts.